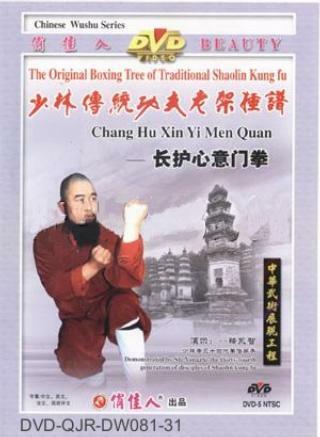 Shaolin Chang Hu Xin Yi Men Quan was first created by Hui Wei, a famous wushu monk in Song dynasty (960-1279 AD), and continously improved by succeeding wushu monks like Jin Na-luo of Yuan dynasty (1279-1368 AD), Jue Xun and Tong Xiang of Ming dynasty (1368-1644 AD) resulting in a strict and tight structure with unique and advance techniques. Chang Hu Xin Yi Men Quan is sturdy and pithiness, inornate yet practical, with hardness and suppleness in complement. The movements are unique and full of actual combatability. It is of significant value in improving your skill of attack and self-defense.